In part that’s because propane autogas (liquid propane) usually costs less per gallon – sometimes significantly less – than gasoline. Imagine that savings realized on every gallon of fuel used in every piece of equipment by every crew you send out for work. But the savings don’t stop there: because propane runs cleaner, you will also spend less on service and extend the life of your lawn maintenance equipment. And just imagine all the time your crew will spend working rather than waiting for their equipment to come back from the shop over the course of a year. If you’re into a different kind of green, autogas has gasoline beat on the environmental scorecard, too: compared to gasoline, propane yields as much as 60 percent less carbon monoxide. That’s better for your crew and the planet. It’s cheaper – Propane can reduce the operating costs of both your truck fleet and your equipment. You’ll reduce costs by at least 10 percent – and probably much more. It’s reliable – Top landscape contractors around the country trust propane to stand up to the toughest jobs daily. It’s eco-friendly – Low-carbon propane often gives contractors an edge when they bid on jobs, and because propane emits far less carbon than conventional fuels, propane mowers can be used on ozone action days when other mowers can’t. It’s harder to steal and spill – With its closed fuel system, propane virtually eliminates costly, harmful spills and dramatically reduces fuel theft. It’s made in the U.S.A. – More than 90 percent of propane is made domestically, and we have plenty of it. 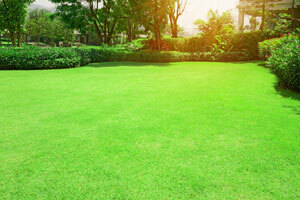 In fact, the U.S. exports enough propane annually to run the nation’s entire fleet of commercial mowers. More than a dozen companies offer autogas alternatives for mowers and trimmers, and we can help you find them. Contact Hocon Gas today to learn more about autogas for your landscape business – and stay tuned for more autogas features in future blogs. Hocon Gas – serving our Connecticut neighbors from locations in Norwalk, Torrington, Waterbury, Danbury, Guilford and Suffield, CT.